Due to popular demand and an increase in online traffic at this post, I've decided to do another post in the Online by Design section. I've searched through YouTube and various functions to find something that I think might interest you all. 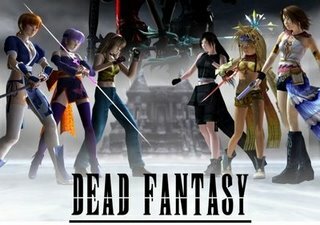 On this entry of Online by Design review, we will be looking at the video mash-up series: Dead Fantasy. (starting from left) Kasumi, Ayane, and Hitomi (DOA). Tifa, Rikku, and Yuna (FF). The Premise: Starting off in a dilapidated ruin, Final Fantasy X's Yuna is running through a path to be intercepted by Dead or Alive's Kasumi and Ayane. It quickly turns into a battle with DOA's Hitomi and Final Fantasy's Rikku and Tifa joining into the action. Various sequels have included new and recurring characters from the both series including their sister series, Kingdom Hearts for Final Fantasy and Ninja Gaiden for Dead or Alive. Not much is revealed about the storyline but much is apparent that all the characters are in an all out battle; rivaling each other and competing in combat to defeat their unwavering opponents. The burning question asked is which video game series will dominate in the war of combat? 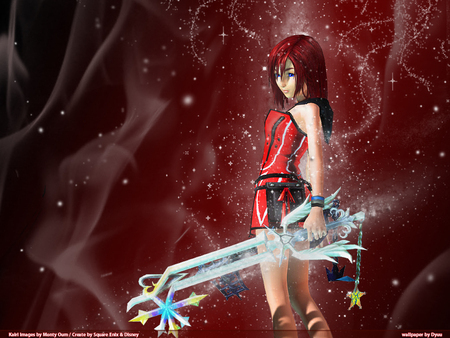 Where To Find It: The Dead Fantasy series is created by user, Monty Oum. You can find all his videos plus fun contributions with the Dead Fantasy girls on his YouTube account or you can visit his personal to find all graphic art, discussion boards, and news about the upcoming sequels: http://www.montyoum.deviantart.com/. The Dead Fantasy girls performing "Gee by Girls' Generation"
The Good: Most parodies and online videos sometimes lack the effort and time put into creating a top quality product and that is clearly not what happened here. The quality and computer design for the videos continuing to get better and more innovative with each upcoming sequel. The fighting scenes are highly choreographed, the characters are thought out with their moves and the fighting moments of introducing materia battles, magic, and ninjas are a sight to see. The fact that using iconic characters and scenes from both these series are definitely a gem for any fans of either series. The Bad: While the quality and mystery regarding the plot is a draw, I'm still confused as to what is really going on. Another big issue is the interval between sequels. It's taken a while for these videos to be created and while I do respect the time and effort that goes into creating these products, the time waiting feels like an eternity for the next one to come out. Dead Fantasy is a great series to watch and see my favourite characters from the series engage in combat. All the sequels can appeal for the amazing quality and jaw-dropping cinematics, but it all resonates within me because I love these two series. Here is the first movie from Monty Oum's page to begin watching if you haven't already. Agree or Disagree with the score and assessment? Then leave a comment below and share your thoughts about the content and what you think it deserves. See you later on the next Online by Design. I've never really seen these videos before. Maybe I'll check them out?